351 Ottawa Street Churchill Downs. MLS#SK766464. Excellent Open Concept 840 sq. 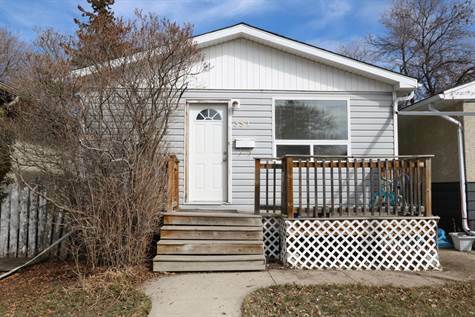 ft. 2 + 2 bedroom fully developed bungalow. Kitchen features lots of cabinetry with large sit up/work island with overhead track lighting, fridge/stove/b/I dishwasher are included. Kitchen overlooks the spacious livingroom with upgraded window and laminate flooring. There are 2 bedrooms on the main both with laminate flooring. A 4 pc bathroom with deep soaker tub completes the main level. The lower level features 2 bedrooms & laundry room. HE furnace, many upgraded windows, steel front & back door. An excellent starter home.